Weather Data Sheds New Light On Everest Mystery : The Picture Show Using barometric pressure readings, Kent Moore found evidence that a major storm rolled in on the day George Mallory and Andrew Irvine attempted to summit. He says it's likely the drop in air pressure would have led to hypoxic shock. 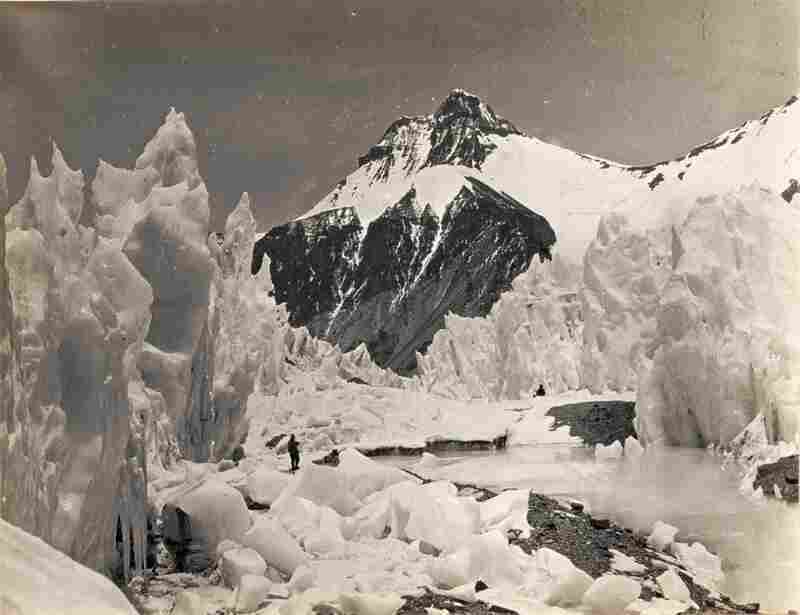 This is the last known photograph of Mallory and Irvine, as they leave for the North Col of Everest, where they disappeared. A photograph taken by Bentley Beetham shows Sandy Irvine fixing an oxygen cylinder. 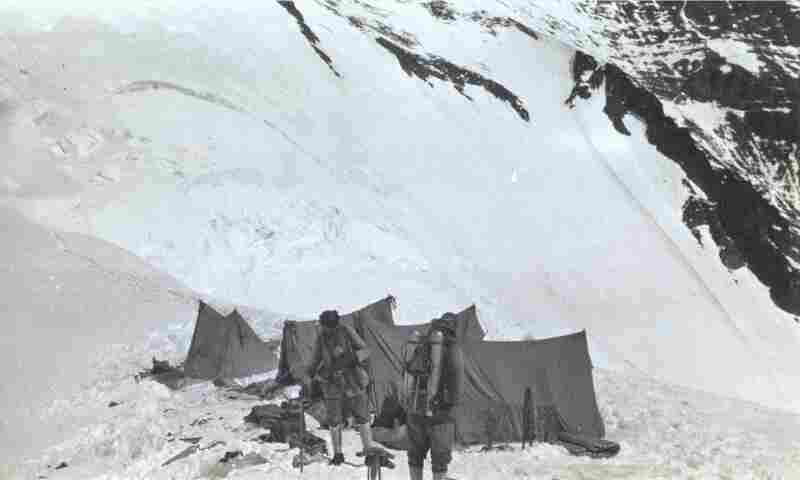 The 1924 expedtion crew climbs the North Col, the pass connecting Mount Everest and the mountain Changtse in Tibet. 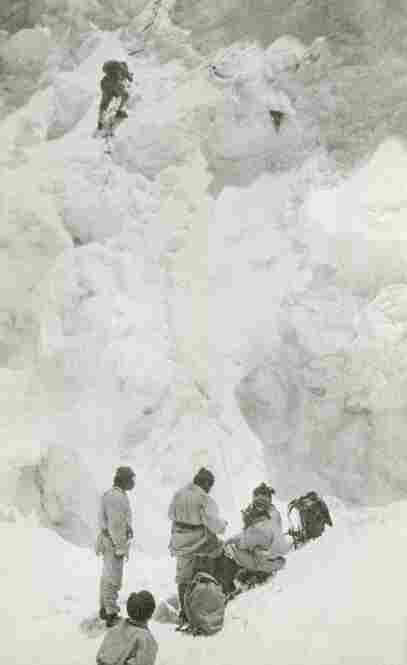 An old, washed-out photograph shows two men at the edge of a snowy abyss, clad in rudimentary mountaineering gear. Those men are George Mallory and Andrew Irvine, and the photo is the last known photo ever taken of them. It was snapped before they disappeared into the clouds of Mount Everest on June 8, 1924. The British climbers were on a mission. They wanted to become the first people to stand atop the world's tallest mountain -- three decades before Sir Edmund Hillary made his landmark climb. But after they set out, no one knows exactly what happened to them. Kent Moore might have found the answer. Moore is an atmospheric physicist at the University of Toronto, and he's also a mountaineer -- which means he loves to read about mountaineering. "In a variety of books about the 1924 expedition, there were ... clauses saying they [collected] some kind of meteorological data," he tells NPR's Guy Raz. 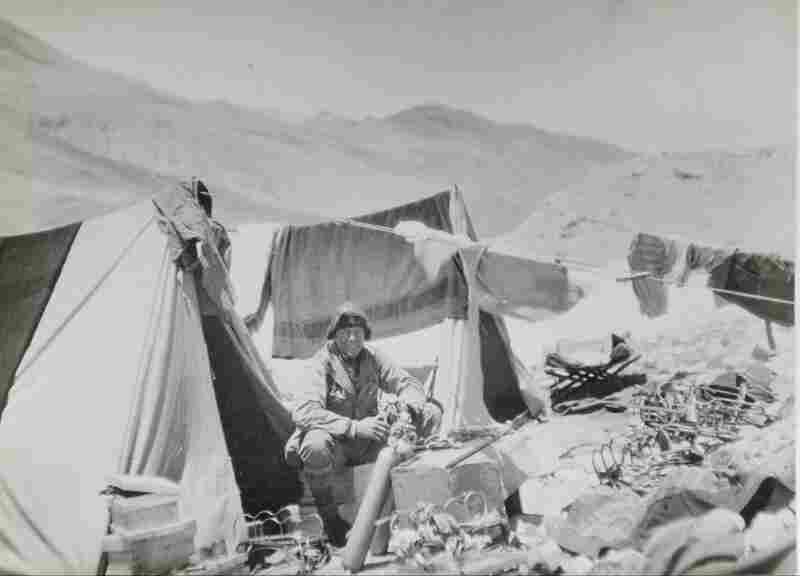 Moore studies climate change, so he knows that getting your hands on Tibetan climate data from the 1920s is like digging up meteorological gold. And he set out to track down those measurements from the Mallory trek. "I had a layover in London and a few hours to kill," Moore says. "And so I decided to go to the library of the Royal Geographical Society, which has all the Everest records." They brought out the old, torn records, and that's when Moore saw it. "I remember I started reading the numbers and going, 'Oh, gee, there's this huge [barometric] pressure drop! I hope this is the day they were summiting on!' "
A severe drop in barometric pressure on summit day would mean a storm had blown in. 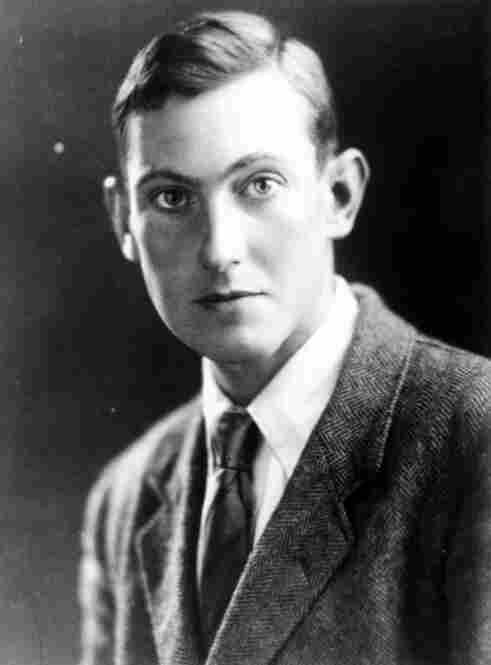 Moore checked the dates of the pressure readings against the dates of the summit attempt and they lined up: June 8, 1924, the day Mallory and Irvine disappeared. A storm, of course, means even more treacherous conditions than usual -- wind, snow, little or no visibility. But there's another physical problem: When air pressure drops six miles above sea level, oxygen becomes so scarce that the body can barely function. Climbers in that situation often go into hypoxic shock -- and that can induce high altitude cerebral edema, which makes people do crazy things. "There have been many recorded instances of very experienced climbers becoming disoriented at high altitude and refusing to come down," says Moore. "And on occasion they've been left there and eventually have died, most likely from hypothermia." Moore's work doesn't answer the question of exactly what happened to Mallory and Irvine that day. Nor does it prove if they made it to the summit. But Moore's findings do make it highly improbable that the climbers could have reached the top -- especially considering the rudimentary gear and limited supply of oxygen the two were carrying. One hope remains, however, for those who believe the duo beat Hillary: Mallory's camera is still missing. If he and Irvine actually stood on top of the world that day, Mallory is likely to have recorded the moment.